Church leaders want to know how to make small groups work for their church communities, yet a quick look around shows that while small groups are all the rage, much of the time they create more problems than they solve. Nelson Searcy and Kerrick Thomas, founding pastors of The Journey Church in the heart of New York City, suggest that this failure is due to widely held beliefs about small groups that just aren't true--and they aim to debunk the myths and set the record straight! 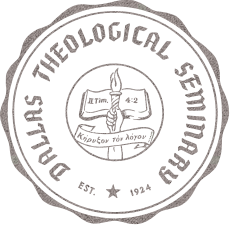 Drawing from the startling success of small groups at The Journey Church (which has had over 100-percent participation in small groups for more than 4 years) Searcy and Thomas show how church leaders can implement a life-changing small-group ministry that gets the maximum number of people involved and solves many of the important (yet irritating) problems facing churches of all sizes. Authors highlight and review the principles of evaluation and provide strateigies on how to implement evaluation in different learning situations. This practical, instructional guide serves both as a learning resource for the novice camp director and as a quick reference for the more experienced director. 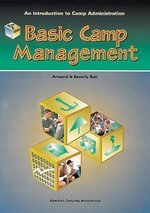 Covering 14 topics of study identified by the American Camping Association as core areas of knowledge for camping professionals, this book includes discussions of leadership, participation, program design, risk management, finances, marketing, site and facilities, and strategic planning. Interpretive charts, tables, and graphics illustrate both the basics and the nuances of camp administration. Each topic is followed by a series of checkpoints and questions pertinent to the previous discussion to be used as a tool for further review. As social media and Web 2.0 technologies continue to transform the learning trends and preferences of students, educators need to understand the applicability of these new tools in all types of learning environments. 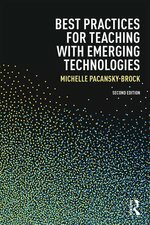 The second edition of Best Practices for Teaching with Emerging Technologies provides new and experienced instructors with practical examples of how low-cost and free technologies can be used to support student learning as well as best practices for integrating web-based tools into a course management system and managing student privacy in a Web 2.0 environment. "Showcase" spotlights throughout exemplify how the tools described in the book are already being used effectively in educational settings. 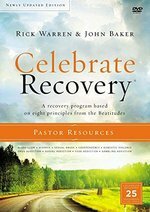 a revamped website featuring expanded online resources. This practical, easy-to-use guide will serve the needs of educators seeking to refresh or transform their instruction. Readers will be rewarded with an ample yet manageable collection of proven emerging technologies that can be leveraged for generating content, enhancing communications with and between students, and cultivating participatory, student-centered learning activities.